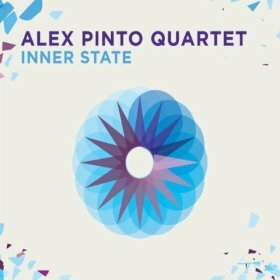 Now resident in Seattle, guitarist Alex Pinto has shifted his musical focus somewhat from his previous recordings, All India Permit (Pursuance Records, 2014) and Inner State (Pursuance Records, 2011). 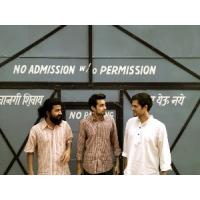 Whereas All India Permit was, as one may gather from the title, a synthesis of jazz, rock, and the music of India (Pinto's ancestral homeland), and Inner State dealt more directly with modern jazz, Unconditional finds Pinto working in an overtly rock-derived milieu. There's a casual, indie-rock lope to Unconditional, a relaxed and informal feel that recalls Bill Frisell's work without sounding like him. Drummer Shaun Lowecki and bassist Carmen Rothwell push and prod without overplaying as Pinto lays into the tune's delicate, plaintive melody. Pinto methodically develops his improvisation out of the melody, adding and subtracting from it, letting certain notes ring out as the drums and bass gather steam. The piece ends with Pinto's fuzzed-out guitar making a monumental, anthemic statement over thrashing cymbals and rumbling bassan exclamation point of sorts. Personnel: Alex Pinto: guitar; Shaun Lowecki: drums; Carmen Rothwell: bass.